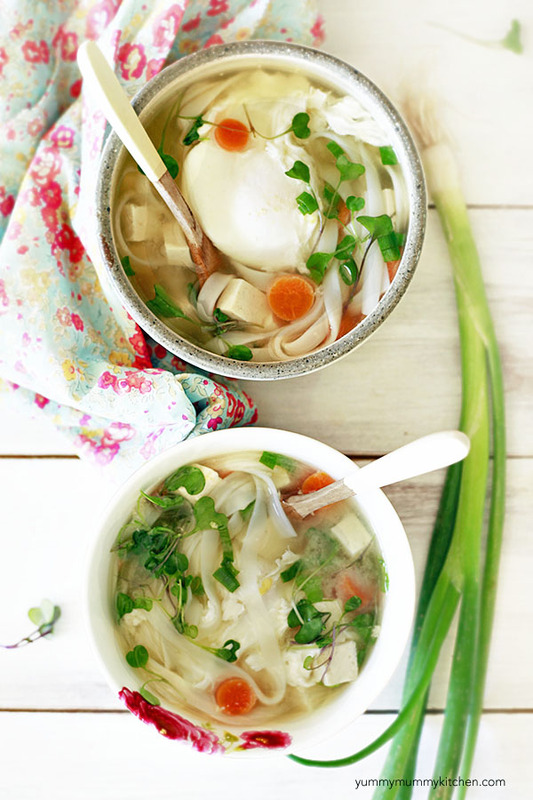 A healthy and hearty recipe for miso soup with rice noodles, vegetables, and a poached egg. The perfect one-pot meal for cold nights. The past couple of weeks our family has been a little under the weather. It seems inevitable this time of year when the seasons change and so many children at school have runny noses and are coughing. A healthy comforting soup always ends up on our dinner table when we have colds. 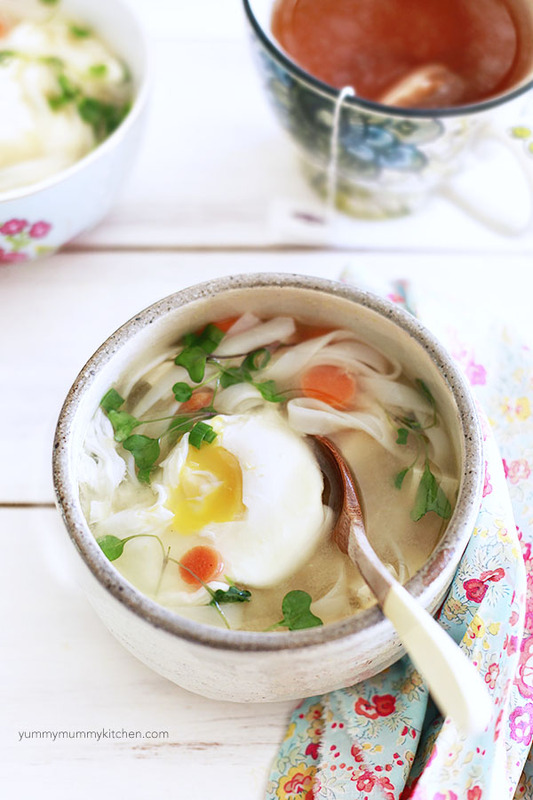 This miso soup with a poached egg is my 6 year old’s current favorite. It’s packed with protein and veggies and thankfully it’s a very quick and easy one-pot meal when mama’s not feeling great herself. You really only need two ingredients to make miso soup: water and a little scoop of miso paste. 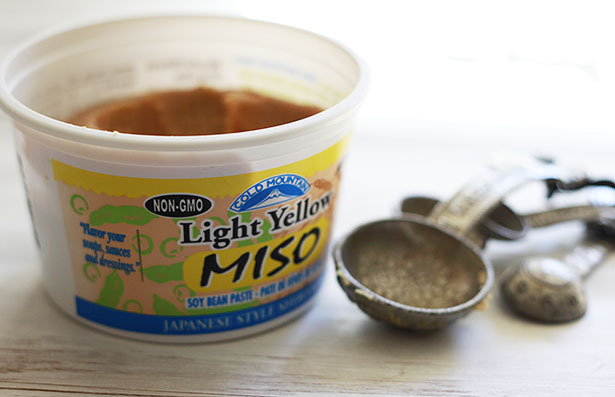 Miso paste is found refrigerated in tubs or packets in Asian or soy product sections. Please be sure to only buy NON-GMO or Organic labeled miso paste and tofu if you avoid GMOs like I do. Soybeans are one of the most common GMO crops. Bring water to a simmer in a medium or large pot over medium-high heat. Whisk in the miso paste and add the carrots, rice noodles, and tofu. With the soup simmering, carefully crack the eggs and gently place them in to poach. I use these silicone egg poachers to make things easy. Here’s a nice tutorial on how to poach an egg if you need help. Once eggs are cooked to you liking, remove the soup from heat and serve in individual bowls. *Vegan option: Simply omit the egg. It’s delicious without it!